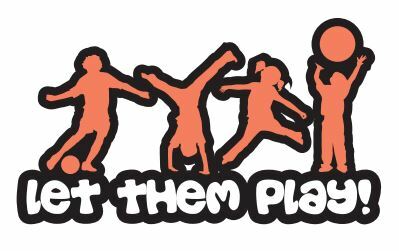 ‘LET THEM PLAY’ Holiday Camps are designed with your child in mind. We know every child is different and cater for all interests. We deliver four types of ‘LET THEM PLAY’ Holiday Camps; Multi-Activity, Football, Cricket and Rugby. Our camps offer parents the flexibility of booking individual days or full courses, as well as both early and late drop off and pick up times. And for added peace of mind, all staff on camp are trained and qualified to Ofsted standards. A range of activities designed with your child in mind. We know every child is different and cater for all interests, with more than 35 different activities from getting them active to using their creative side. All our activities are delivered by our passionate and qualified MNR Coaches who are on hand to help your child develop new skills and gain confidence when on camp. Most importantly we aim to make our courses your child’s favourite part to the School Holidays! All Staff trained & qualified to Ofsted standards. 5-7 Year olds – Whether it’s their first time on camp or not children are given the confidence to make new friends with a mixture of age appropriate games, activities and creative sessions, that will fill their day with endless FUN! 8-9 Year olds – As children grow so does their enthusiasm to try NEW activities and experience like Archery and Fencing! Children will also enjoy engaging in team challenges and making choices with activities through child/ leader led games. 10 + year olds – We encourage leadership on camp through Group captains and child led games where they make the rules, Themed game and craft sessions give the children the chance to bring their interests to life on camp! A great way for both girls and boys to develop their Footie skills. Players will take part in fun, inspiring sessions which aim to develop their love for the game alongside improving technique and understanding. Where possible sessions at camp are grouped by age bands of approximately two to three years, but should players excel or require further work within a band our F.A. trained coaches are on hand to recognise grouping requirements to ensure all players enjoy participating. 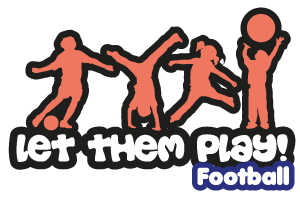 Football courses are available to boys and girls of all abilities aged 5-12 years old. Cricket holiday camps are a great way for girls and boys alike to develop their cricket skills in a fun and progressive manner throughout the summer. Children on camp will have the opportunity to use the fantastic facilities provided by Sulhamstead and Ufton CC whilst improving performance in a number of inclusive, inspiring sessions delivered by the team. Children on camp will be split into age appropriate groups to ensure the most progression can be made. 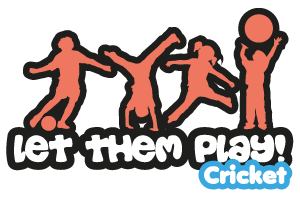 Cricket courses are available to boys and girls of all abilities aged 5-12 years old. Be the first to hear about Special Offers, Exclusive Discounts and our NEW Holiday Camps! Our Rugby camps working alongside Tadley Tigers RFC are a fantastic opportunity for children aged 5-12 years old to learn or develop their Rugby skills further in a fun, inclusive environment that have the RFU’s Rugby Values embedded in to every session. Sessions will focus on Fundamentals of ball handling, creation, awareness of space and game play. Children will be grouped within their age groups to ensure that the child’s wellbeing and enjoyment is the main focus! 2:45pm – Player of the Day! Our Rugby Camps are inclusive to all abilities from the age of 5-12 Years old.